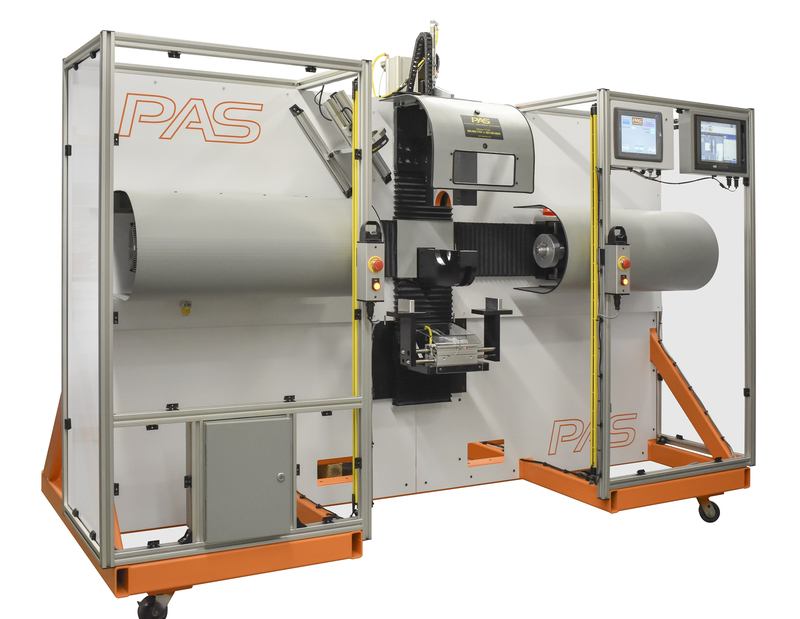 At PAS we understand your spin welding project may not work with a standard piece equipment. That’s why we offer completely custom systems to suit you specific project needs. We utilize all our standard servo spin welding components to build a custom system. So if your all out of options, a PAS custom servo spin welder might be your ideal solution. This particular spin welder was designed by our team at Plastic Assembly Systems to weld two caps to one center tube simultaneously. Its also accommodate several sizes parts and can be changed over on the fly for the different parts.